The Homigot National Sunrise Festival is the place to be to watch the first sunrise of the year in Korea, but it is also popular for its unique sculptures. The sculptures here signify the New Year's Homigot sunrise and is entitled 'Hand of Harmony'. The left hand stands on land, and the right hand stands in the ocean water. These sculptures are made of bronze and granite. 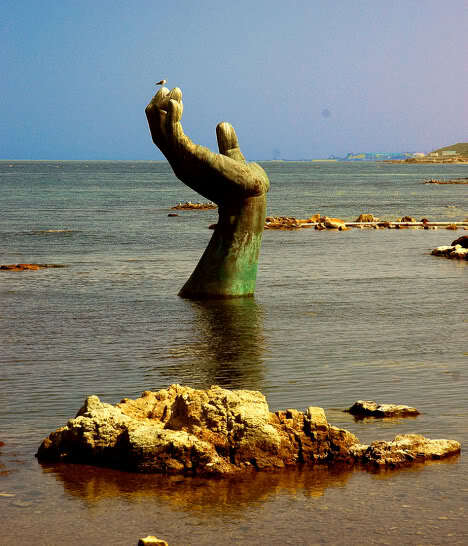 The hands were constructed in 1999 to symbolize continuing efforts of all Korean citizens to pursue a better quality of life.